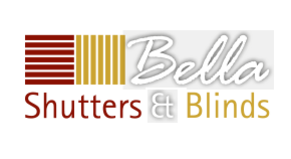 Shutter Options at Bella Blinds We offer a vast array of finishing options to ensure your made-to-measure shutters and blinds blend in to their surroundings perfectly. Options are broken down into standard and custom finishes and optional extras. We have a choice of seven louvre sizes so that you can get the best out of your shutters. For a unique finish offer a sandblasting option which is only available in our Bass Wood range. All our hardwood panels are spray finished utilising a proprietary paint system developed exclusively for our shutter production. Like every masterpiece a shutter requires a quality frame. All of our shutters have either 6 coats of either paint or stain to give a tough, lustrous finish. Ideally suited to inaccessible or large runs of shutters.